Is There Any End of War in Libya? The war in Libya is on, and the end doesn’t look near. Gaddafi’s forces are not showing any signs of loosing and rebels with whatever weapons and arms they are left, are struggling. Nato is bombing, but achieving hardly anything. A man who has been ruling the nation for decades know his people and his supporters very well. He knows the power of rebellions and he knows what he what mistakes he can do. Many believe that Gaddafi is on the brink of loosing the war but is not showing to the world. 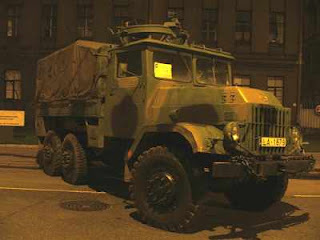 He is staging everything as such that NATO forces and rebels feel he is still very powerful. The question is where the wars is going? NATO forces have said that until Gaddaffi doesn’t not step down, they will continue bombing Libya. This means that they have clearly declared that they have problems with Gaddaffi. Till now the ineffective air strike by the allied nations hardly have brought any results. Considering from arming the rebels to land on Libya, many new ideas are being constructed by the policy makers as they don’t want to lose the war. 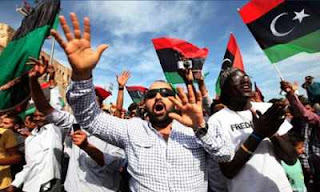 UN Security Council resolution 1973 prevents foreign forces from occupying Libya. Though it might allow a limited operation on Libya’s soil, but it is clear to all how those limited operations extended to temporary occupation in Iraq and Afghanistan. Meanwhile African Union has proposed truce and a temporary end of war so that the matter could be solved through negotiations. African Union is in favour of talks with the Libyan leader and has requested rebels to maintain ceasefire and NATO to stop bombing. Gaddafi accepted the idea of truce sponsored by African Union, but rebels have rejected and considering only war as an option, though they have promised that they will study the plan and think more on it. According to the rebels, it is very tough to make a man step down politically with talks who has ruled for decades. They feel that they will get nothing but another decade long term of Gaddafi’s rule. After many wars which NATO has already fought, it is clear that war is not the solution in today’s era. Hanging Saddam Hussein and then not finding any weapons of mass destruction in Iraq, attacking Afghanistan but unable to catch Osama. And now they have opened another front which is Libya. US and Nato lacks a one point ideology. The kind of response they are showing to the decade long rule of Gaddafi lacked in the case of Egypt because Hosni Mubarak was a supporter of Israel. Similarly they have nothing to say on the decade long rule in Bahrain because it is their key ally in the middle east and also hosts 5th fleet of US Navy. 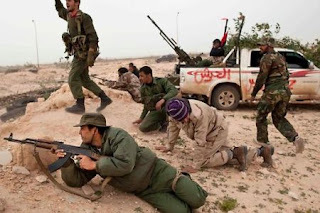 Nato’s decision of attacking Libya somehow looks as if they were searching for an opportunity for so long to eliminate Gaddafi, and when they realized that they can do that using the rebels. They agreed to support them. The entry of Nato in Libya has made things more complex. Rebels wouldn’t have rejected the truce plans and negotiation if Nato weren’t with them. Who Is Muammar Gaddafi and Why Is He So Difficult to Get Rid of?